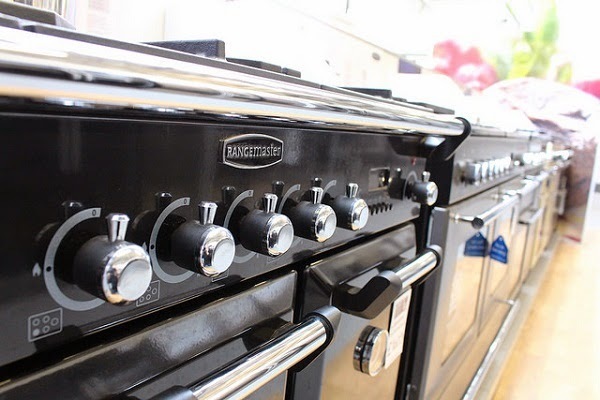 If you’ve decided your tired, old cooker or oven needs replacing and it’s a long time since you visited an appliance store to check out the different types available on the market, you may be confused about the choices. However, at online retailers such as Appliance World, due to the extent of their product range, you’re sure to find one that will suit your needs perfectly. Powered by mains for the majority of people but occasionally using bottled gas, cookers and ovens using gas have long been a popular choice for households. Quick to heat up and easy to control as it’s a much more visual cooking method than any of the electrical choices, gas cooker tops and electric ovens such as the Siemens built in ovens are a popular combination for many kitchens requiring a sleek design. The only real disadvantage to using a gas cooker is that there’s more parts to dismantle and clean with the rings are they will need washing regularly to remove the fat and food residue otherwise they can quickly become blocked. Induction uses very powerful electromagnets, and these are underneath a glass surface which is manufactured from smooth ceramic. When turned on, the induction power comes from an electromagnetic field. The field causes heat to be created, and this is then transferred to the pan or pot on the stove. There’s no heating element and no burners underneath. The way the food cooks is through a rise or fall in the amount of electric power. It’s also possible to buy induction cookers which are manufactured from cast iron. The main positive aspect from using induction to cook with is that they are really safe – with particular reference to children. There’s so little chance of burns happening accidentally, because the heat moves from the field to the cookware and there’s no stovetop to heat up. As it’s electrically powered, there’s never a worry about a gas leak. Induction power is very energy efficient, and food doesn’t take so long to cook. It’s also a very easy to use the kind of heat as temperature control is easy, and changes in the heat take place very quickly. Because of the glass top, they are very quick and easy to clean – a wipe with a soft, damp cloth, and the job is finished. They also suit modern, sleek and contemporary designed kitchens. However, some people feel there is a possible issue with radiation, but research evidences this to be very low. You’ll need to buy pots and pans which have either iron or stainless steel bottoms otherwise the magnetic field won’t be created, and there’ll be no heat. The cookware bottoms also have to be flat to ensure even distribution of the field. You’ll need to be careful with the surface. Be careful not to crack the glass with cookware or to drag anything across the top otherwise you’ll end up with scratches. Ceramic cooker tops work through the installation of metal coils or halogen lamps placed under a piece of ceramic glass. They work through electricity and heat up when switched on. Heat produced then goes into the glass surface and then into the pan. A ceramic cooker cools down very fast and so is very safe – particularly when just switched off. As with induction, there’s no worry about gas leaks. This is an energy efficient choice with very dense heat in a focused spot. Cleaning is easier – a damp, soft cloth is all that is needed, but they do need to have spills removed immediately to prevent burn marks. Using ceramic may mean buying new cookware as they require heavyweight pans for good conductivity covering the whole surface. They are easily scratched and broken in a similar way to induction. Whilst they cool down quickly, they are slow to heat up, and temperature changes are felt not to be quick enough for many people when cooking and needing to up the heat.